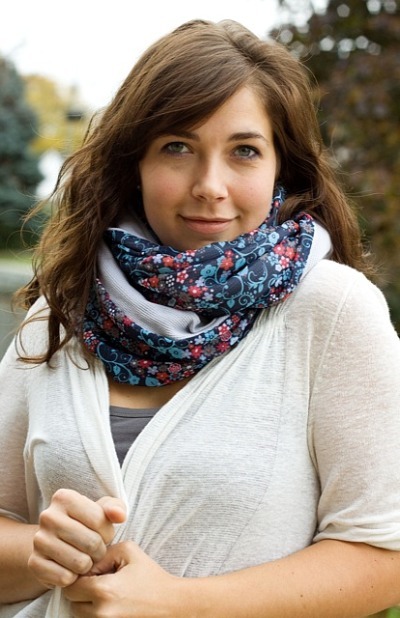 In case you don't ever plan on picking up a pair of knitting needles or crochet hooks in your life, or if you just want a different kind of infinity scarf - sew this one up! 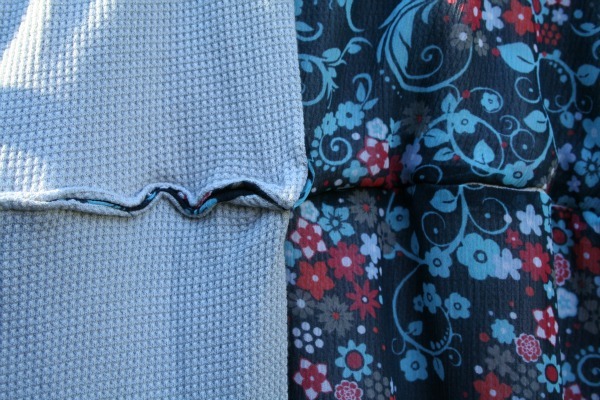 2 meters (yards) each or corresponding fabric. I did one print and one solid. My floral pattern was cut all wonky at the store, so to square it up, I had to shorten it by 5cm. No big deal. You can make this scarf any length, really. 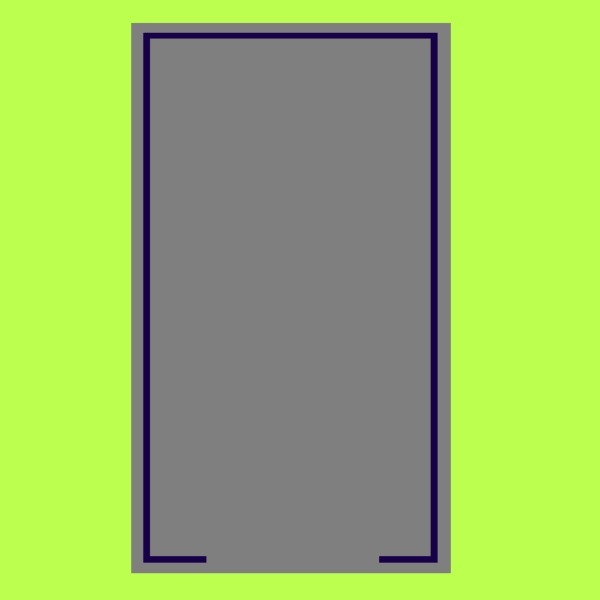 Cut both pieces of fabric to the dimensions indicated above. 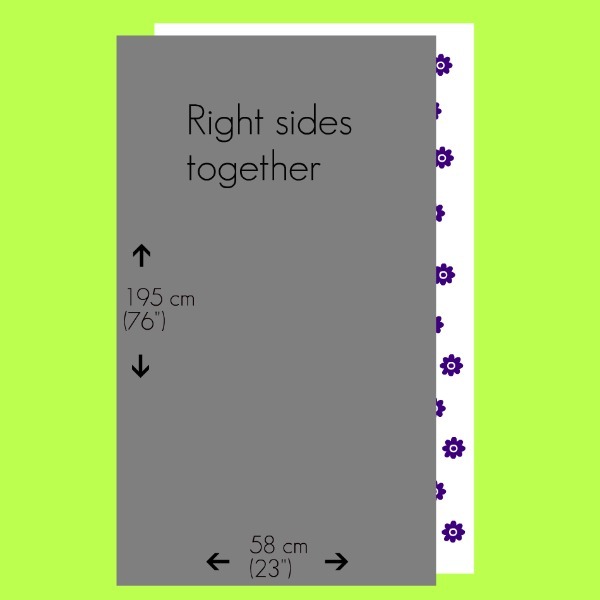 Match right sides together. 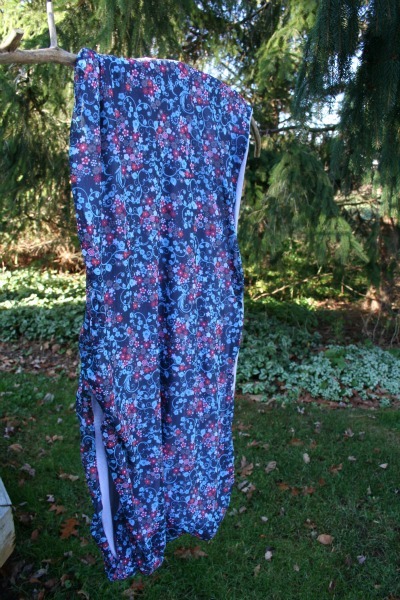 Pin and sew (like the purple line above) with a 1cm (1/2") seam allowance. Be sure to leave an opening of about 30cm (12") at one end like in the diagram above. Turn right side out. 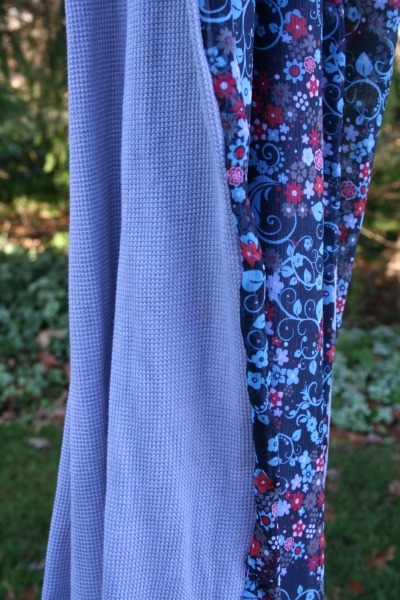 Fold the raw 30cm edge in and press with an iron if necessary. Match the right sides (in my case, the patterned side) of either end of the scarf together and sew with a teeny, tiny seam allowance. 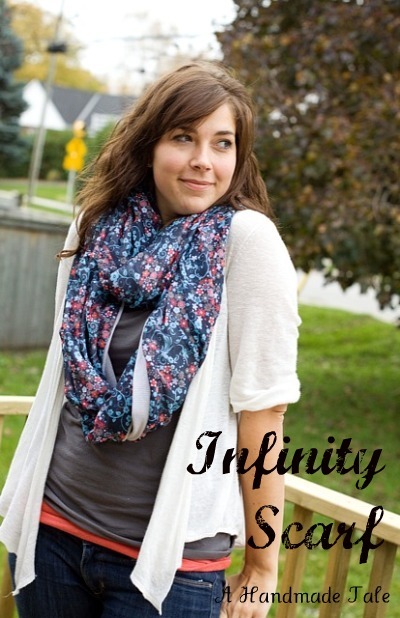 There are a ton of ways to wear the infinity scarf, use this blog post as inspiration and get inventive! Thanks for the photos again, Kennedy!